Decorate a sunroom or garden-friendly spot with these plastic speckled robin's eggs in a faux nest. Adds a touch of nature to your home decor. 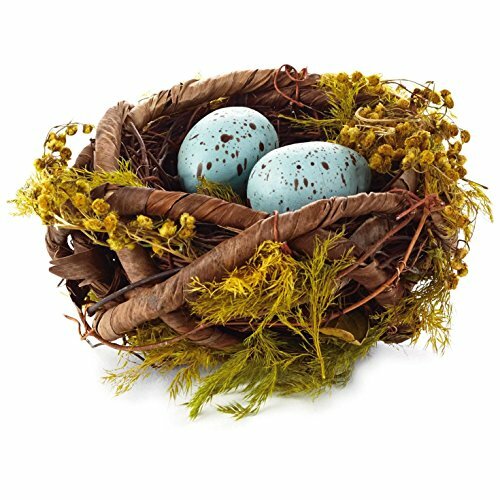 Add a touch of nature to your home decor with this cute, faux nest decoration filled with two plastic speckled robins' eggs. Handcrafted from natural materials, it looks so real, you'd almost expect them to hatch! Faux speckled robins' eggs, plastic. Nest is handcrafted from natural materials.